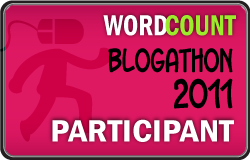 I was in bed scanning twitter because I really wanted to fall back to sleep rather than get up (it didn't work, btw)..and I came across the announcement of Blogathon 2011! How could I have missed this!?! So this is the official announcement to Babette Feasts readers. I hope to still make you laugh, love food, get inspired by photos and weave in bits and pieces about new things in my life: tango (LOVE it! ), triathlons, new places and new spaces. So welcome back. While this is post #1, I hope to add to it later today, because just now, I am in Asheville, NC for a full-on tango weekend. awesome!